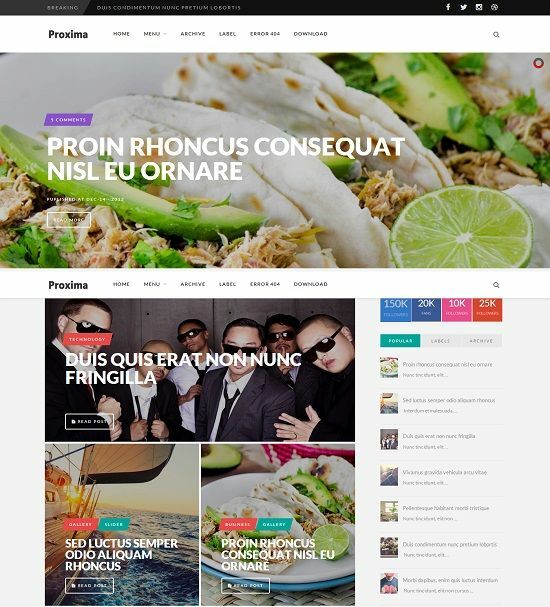 Proxima is a free premium multi purpose blogger template. It comes with user friendly layout with high-end features. Homepage full width zoom-in slider, news ticker and gallery design with image effects gives professional look to your website. Proxima blogger template is an ideal choice for game, recipes, news, review, art and photography websites. I’ve downloaded and uploaded the template. The social media icons do not appear. What should I do? Hello – I see social icons are appearing on your website in top header and sidebar. Let me know if you are looking out in some particular location.